Can I get heated seats? Do I have to get a sunroof? Find out what you need to know about Pontiac features right here. Removable roof section (opaque)Spans width of car, providing much of the effect of a convertible. Spans width of car, providing much of the effect of a convertible. 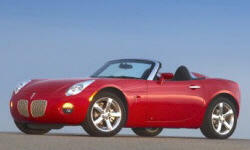 See TrueDelta's information for all Convertibles and Hatchbacks. None of our members have yet commented on the available features of the 2010 Pontiac .